Bronzer has never been truly appreciated by myself until now. I've always popped a touch on across my forehead, cheeks, nose and chin, but it was always the fairest dusting. However, now that I don't spend everyday in the Miami sunshine, I find myself applying my bronzer a little heavy-handed. 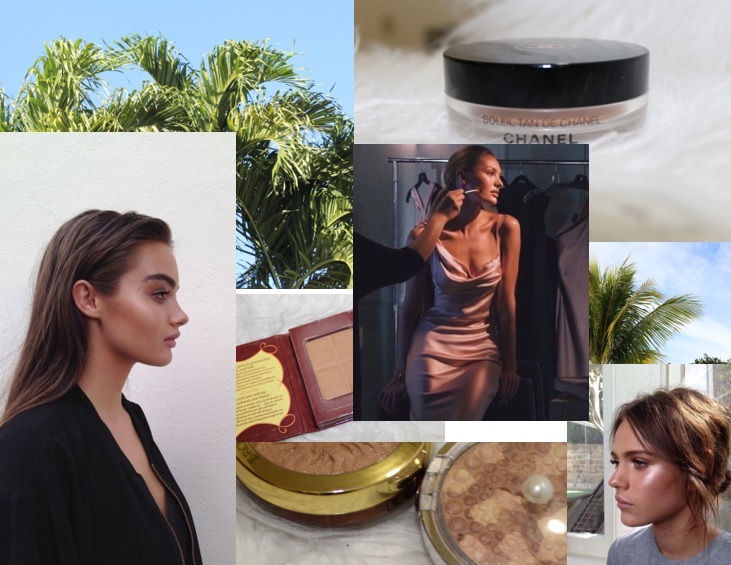 Bronzer has become one of my must-have beauty products, something that I HAVE TO apply with any makeup look. Here are some of my favorite bronzers that may help get you out of your palest moments too. The Glossier Cloud Paint and Rosie by Autograph blusher aren't actually bronzers but they give a gorgeous, reddish color that makes your cheeks look like they have actually been burned a touch by the sun. It's not a look for everyone, but I love the really natural feel that it gives to the skin.